Since its foundation in 2004, Rowse has grown to be Plymouth's premier electrical wholesaler, with business operations spreading across the Southwest, and stretching out to the whole of the UK and beyond. 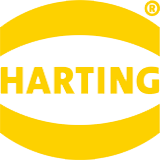 Over the years our operations have expanded to the extent that we now offer dedicated Automation and Pneumatics divisions, with a team of expert personnel who are trained specialists in these fields. We founded our company on the principle of top quality service, good customer relationships and the best quality products at competitive market prices. To this, we now add a knowledge database of new and old products in specialised fields, and the technical expertise to advise on their operation. We are proud to have established a solid and loyal client base, serving our customers in the domestic, industrial, commercial and military sectors. 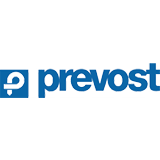 With over 14 years in the business we have built up a strong knowledge base in Pneumatics, added to which are the many years of combined experience contributed by our designers and engineers. We respond willingly to market innovation, and are always up-to-date with the latest technological advances in the industry. Rowse is also a technical distributor for all types of advanced pneumatic equipment and components. 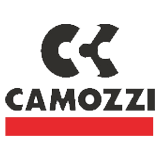 We are premier stockists and authorised distributors for some of the world's top manufacturers, such as Festo and Camozzi. 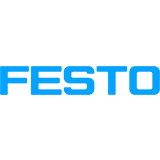 We carry the full portfolio of Festo products, and that company has acknowledged our status as a pneumatics expert by making Rowse a Festo Partner. Our excellent standards of supply and service are UKAS and ISO 9001:2015 certified, which guarantees that we are authorised to carry out services to all required standards. As acknowledged pneumatics experts, the Rowse team have been privileged to help many manufactures and special purpose machine builders and OEM?s, both local and countrywide, to improve their pneumatic systems, and to source the correct parts for their application. We are always happy to arrange a visit to your premises, where our automation, design and operational safety experts will carry out a risk assessment exercise. In full consultation with you, our expert team will ensure that your pneumatic systems are operating at peak performance, and that all equipment and components are in compliance with prevailing safety regulations. Rowse team members can also help you locate components for obsolete equipment, so that a system can be refurbished and upgraded to continue its useful working life. If you feel that your installation needs a facelift, a revision to some equipment's technical specs, or a new piece of pneumatic machinery to fulfil a particular operational requirement, don't hesitate to consult our expert team at Rowse, who will be only too happy to help.